Guest post by Liz Martinez. Flashback to November, 2015. The kid threw up. (The step-kid, actually, so that made it worse). The laundry needed mucho attention. I needed a new car. I had to pay off my credit card. Then, the cat threw up, too. And oh, yea, I needed a job. About two years ago, life threw me a curve ball. I lost my job in an ugly, um, situation when the owner of the company I was working for got into some legal and financial troubles and the entire operation closed down with approximately… give or take… 2 hours notice. Just a few short months before that, when my then-boyfriend found out about the trouble that was brewing at my less-than-stellar place of employment, he broke up me with because, and I quote, “I have a license and I can’t be associated with you now.” Well, the ‘license’ he was referring to was his realtor’s license (it’s not like he was some world renowned pediatric neurosurgeon or anything) and the break up came just one month before my birthday, which anyone that knows me will attest, is a BIG deal for me. Yep, the universe basically threw up on me two years ago, and I felt like life was just passing me by. Back then, I would say I was a trusting, naïve and loyal employee/girlfriend that didn’t bother to look under the rug for dirt or in the closet for skeletons because I didn’t think a friend (my former boss) or romantic partner (the now ex) would play dodge ball with my emotional and financial wellbeing. Have I learned my lesson? Not one bit. That’s why, when a colleague from my former life as a writer reached out to me to see if I could work on a freelance project – since I still had not found the job of my dreams since the abrupt and forced career change – I asked approximately zero questions and said YES. Like, right away. The assignment, as it turns out, was to go on an 8-day European river cruise with Avalon Waterways and write a feature story about it. Maybe not asking questions was the way to go. So, yea… that was the start of GOODBYE lemons and HELLO delicious lemonade. With vodka, of course. 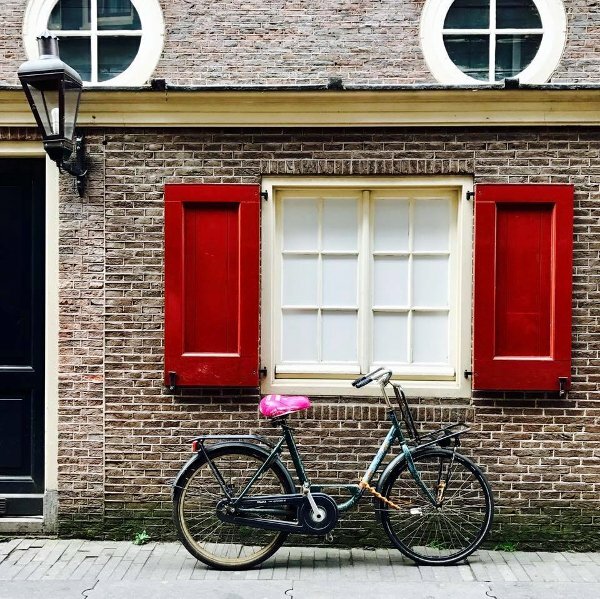 The river cruise started in Amsterdam, city of bikes (a ton of bikes!) and pot (a whole lot of pot!). Being that I was on assignment, I did not indulge in the latter but, being that I was on assignment, I DID indulge in a walking culinary tour that involved some Dutch cheese, local beer, pickled herring (something I never thought I would like but did) and plenty more Holland deliciousness. The ship spent the night in tulip central so the next day, after a guided canal tour and more goodies, I got to try a Van Gogh-inspired painting class. It was great fun (good coffee, new friends, etc.) until I looked at my finished piece and realized it would have made even my 2nd grade art teacher grimace. Lucky for me, the studio was kind enough to ship our masterpieces home (and I thought I was going to get out of taking it because it didn’t fit in my luggage) so now this gem hangs proudly in my garage. That afternoon we set sail for the rest of our journey. And Avalon Waterway’s Visionary was absolutely the best home away from home. With just three decks of cabins (for a total of 64), a dining room, two lounges, a small gym and a smaller hair salon… and a total of no more than 128 passengers, I did start to wonder if I would get bored. That thought was quickly squashed as we set sail through Amsterdam on our way to Cologne, Germany. 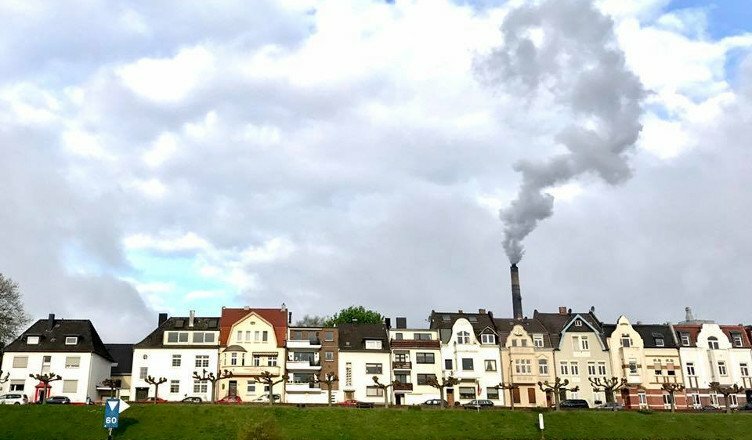 Seeing the small towns, castles, vineyards and idyllic scenery along the Rhine River pretty much removed any thoughts of real life from my world-weary spirit. To add to the charm, no detail was forgotten on the ship. Breakfast in the dining room was an embarrassment of riches with fresh fruit, yogurt, every seed and hipster super food imaginable, charcuterie, breads as well as made-to-order eggs, waffles and the like. For lunch, we had a choice of a lite meal in the lounge or the extra special version in the dining room. Dinner brought everyone together in the formal dining room – which was not all that formal or stuffy — all in one seating, for a 4-course meal featuring regional specialties from the day’s port as well as a healthy option inspired by the cruise line’s new partnership with the super cool and veg-friendly Vienna restaurant owners, the Wrenkh brothers. And mind you, wine and beer was included (also read: complimentary) during lunch and dinner. A late-night snack was served in the lounge to satisfy the almost-midnight munchies. And hailing from Miami where a cocktail can easily run $15-$20, I was surprised to see the drink prices in the lounge were extremely reasonable. No reason to pass when I could get a glass of regional sparkling or Riesling (hello, Germany!) for about $4-$5. But my cabin actually out-did the food. Spacious and simply decorated, it featured a full bathroom with the kind of amenities you want to stock up and take home (I didn’t…swear! ), a small sitting area, a bed that faced the window and, oh yea, an 11-foot sliding glass door that opened up a 7-foot hole of fresh wonderment and turned my whole room into a balcony suite! I could have stayed in my cabin all day, every day and the trip would have still been amazing. Yep, it was that nice. That giant floor-to-ceiling opening to the world (you get the feeling that I liked it, yes?) 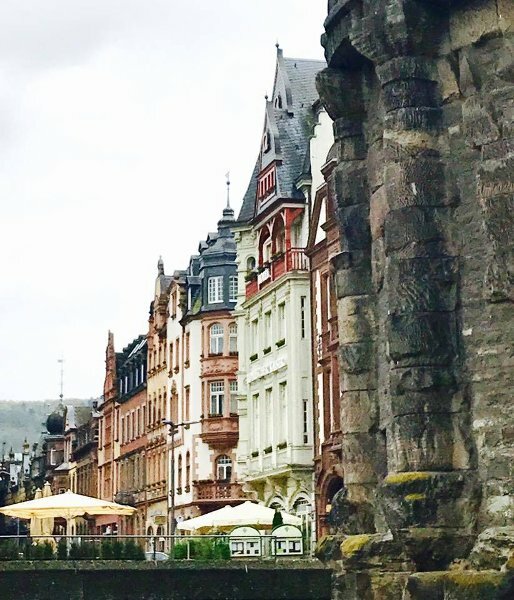 showed me some incredible small towns and scenery including the Rhine Gorge with all its ancient castles dotting the shoreline, vineyard-heavy Cochem along the Moselle River, the almost-twin villages of Zell and Bernkastel, the ancient Roman city of Trier and sophisticated Luxembourg. All stops included some sort of guided tour or activity (to assure that I never did get bored) and also allowed plenty of time to explore on my own, which felt easy and safe to do since the ship was exactly the right size to travel through the smaller bodies of water and traverse the various lochs along the way. Because of this, the cities’ center – with shopping, food, art and more – were always just steps away from the docking position so not even a taxi (or Uber) was necessary. 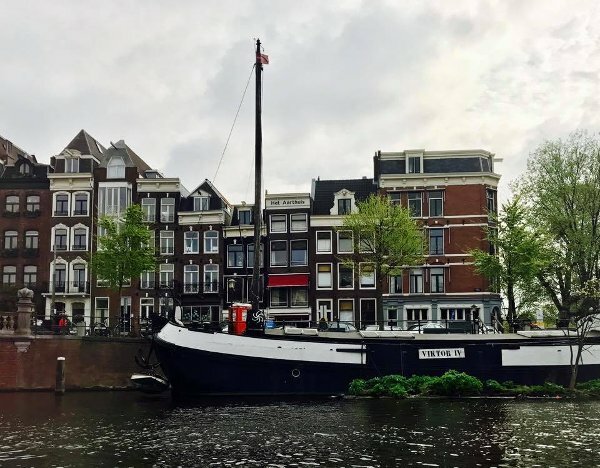 That’s the beauty of river cruising… seeing the stuff that many other tourists don’t get to see. I mean, aside from the spectacular cabin, super attentive staff that gets to know your name, and the food. You get the picture. Aside from thinking I would be bored (I wasn’t), I thought I would feel out of place by myself. Surprisingly, I didn’t. With the small number of guests onboard, I could imagine it was my private yacht and these were simply a few of my friends. So what if I have an active imagination? Everyone was so nice and happy to be there that it was easy to make friends and always have someone to sit with for dinner or talk to on a tour. And although the demographic for a river cruise is still just a bit older (I’m getting up there, too), the cabin, the food, the wine, the crew, the idyllic towns and the sheer camaraderie amongst passengers always offered me something to do, something to eat and someone to chat with. And in the moments that I was alone, the awe-inspiring and ever-changing scenery outside my window kept me company. Speaking of company, thanks to Tinder, I found a really great new boyfriend and after the cruise, I even found another job (darn!). I guess you never really know where life is going to take you. 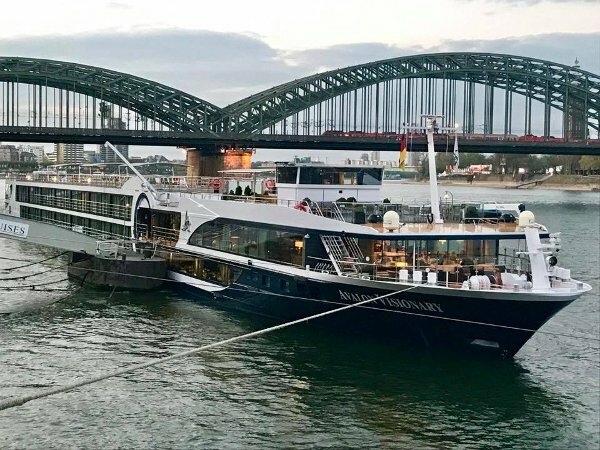 So next time you are thinking about taking a cruise or any vacation, forget what you think you know about river cruising and just do it because on here, when life passes you by, it’s actually a really good thing.